First, congrats to Connie! You won your very own copy of the book. I’ve emailed you. Second, one of the winners of the Unicorn Fiber gift sets never responded to my email, pm’d me, etc. So I went back to the random number generator…congrats to Zabber! I’ve emailed you as well. Teach Yourself Visually Circular Knitting, Melissa Morgan-Oakes, Wiley Publishing, 2011, 245pp. One the tasks in my (never-ending) list of things to do for the blog is to create an annotated list of recommended books for knitters. This is one that definitely would go on the list for those who haven’t yet discovered the joys of knitting on circular needles — though, even if you’re not a beginner to knitting in the round, you might very well find some good tips here (Melissa included, to my surprise and delight, a chapter on steeking!). The book is into concise chapters, beginning with an intro to circular knitting and candid discussions of the brands of needles and other tools. Chapter 2 jumps right into the mechanics of casting on and using dpns, circular needles (of a length smaller than the circumference of the work), magic loop and 2 circular needles, ending with binding off. Chapter 3 addresses how fix common problems (laddering, twisting at the join, etc). The remaining chapters are devoted to projects and techniques and tips associated with them. 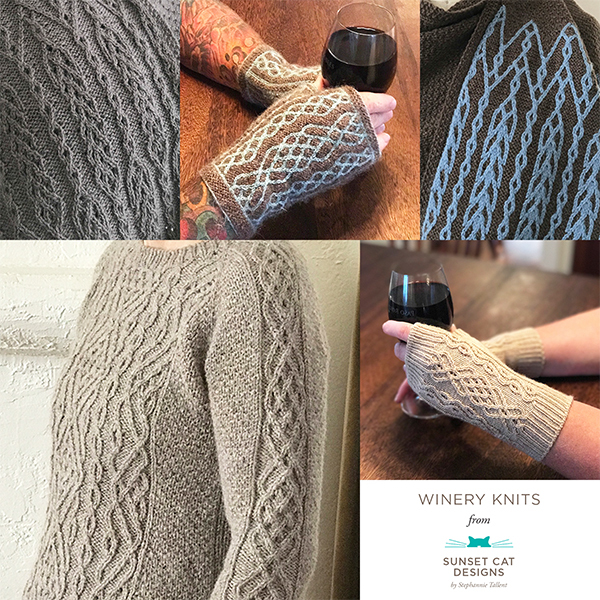 Starter projects (earwarmer, fingerless mitt, potholder) are geared to getting you comfortable with your needles and the basics of knitting in the round. The next chapter, Planning a Project, delves into yarn selection, swatching, etc — all the necessities before going into the remaining projects. The remaining projects, divided into simple, intermediate, advanced and steeked projects, range from cowls, mittens, socks to sweaters (and finally, the steeked shawl and steeked cardi). Tips such as measuring for sizes continue to be peppered through out each chapter. A small collection of stitches (textured, cables (including a pretty seed stitch and stockinette cable), and lace) and overview of basic techniques finish out the book. The illustrations and pictures are, as expected, many & clear. This is, after all, Teach Yourself Visually. The chapters are all color coded to make it easy to find your place when flipping through the book. I received my review copy from the author (and will soon be loaning it to my mom in law to help her with her knitting! ).